A mother has revealed how she forgave her son for murdering her four-year-old daughter when he was just 13-years-old and why she continues to visit him in prison, a decade after the attack. Charity Lee still goes to visit her son, Paris – now 24 – who’s serving 40 years imprisonment for juvenile murder, in 2007, after he stabbed his sister, Ella, in a revenge attack against their mum. 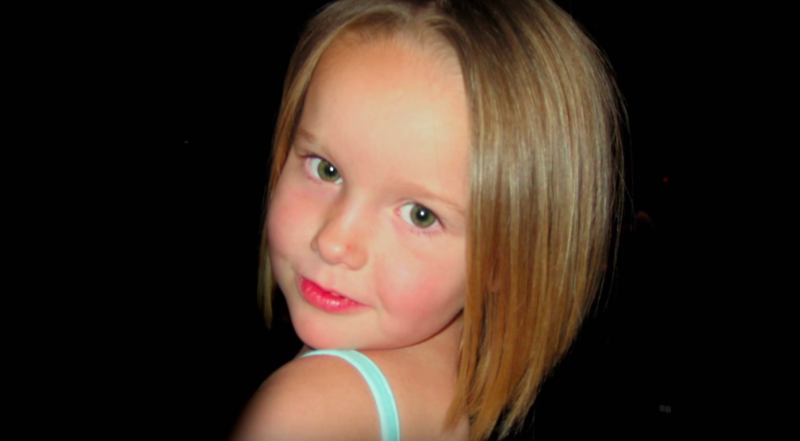 On 5 February, 2007, 13-year-old Paris stabbed his 4-year-old sister Ella, 17 times – he picked up the knife and attacked his half-sister as she slept in her bed after convincing their babysitter to go home – he then called 911 and admitted to the killing. Paris, who was diagnosed with sociopathy, told his mother he carried out the murder to ‘destroy’ her in revenge. Paris, who has an IQ of 141 and considered a ‘genius’, was angry at his mother for relapsing – Charity had battled a heroin and cocaine addiction. His harrowing 911 call is aired for the first time in The Family I Had, during which Paris sobs, saying he feels ‘so messed up’ and pretends to do CPR. The young boy originally claimed he killed his sister during a hallucination but quickly changed his story. To this day, Paris claims full responsibility for his actions, but maintains he has all his mental faculties. I chose to do my crime and I take full responsibility for my crime. I wouldn’t say there was a predisposition to what happened. I’m not insane and I don’t suffer from any mental illness. The documentary follows 44-year-old Charity, (who’s since had another child, Phoenix), on her visits to see Paris in Texas, where he’s serving his 40-year jail sentence – the maximum punishment for juvenile murder. Since his incarceration in 2007, Paris has graduated from high school and received the forgiveness of his grieving mother. I have forgiven Paris for what he did but it’s an ongoing process. If he was free, I would be frightened of him. The fact he’s incarcerated gives me peace of mind, but I worry about his own safety. The only regret I’ve ever had about my own personal behaviour is my relapse. The fact is, it made him angry and he chose to handle it that way [by killing Ella]. It’s just another indication he’s a sociopath. I don’t regret how I’ve handled Paris, I feel like I’ve been true to myself and followed the right path. Now a prison rights activist, Lee was prompted to set up The ELLA Foundation, a nonprofit organisation which empowers people affected by violence. She was inspired to do so a month after Paris’s arrest, when the Texas Youth Commission, (which had been looking after him), was indicted for the physical and sexual abuse of children in its care. Now, she visits prisons to speak about how to respond to violence in ways which can improve a person’s life instead of destroy it. For now, Charity is hoping to honour the death of Ella, who she described as ‘extroverted, very outspoken and very smart’ through The ELLA Foundation – an acronym for Empathy, Love, Lessons and Action – and by being a good mum to Paris and Phoenix. The Family I Had will be shown on Investigation Discovery on Thursday December 21 at 9pm EST.